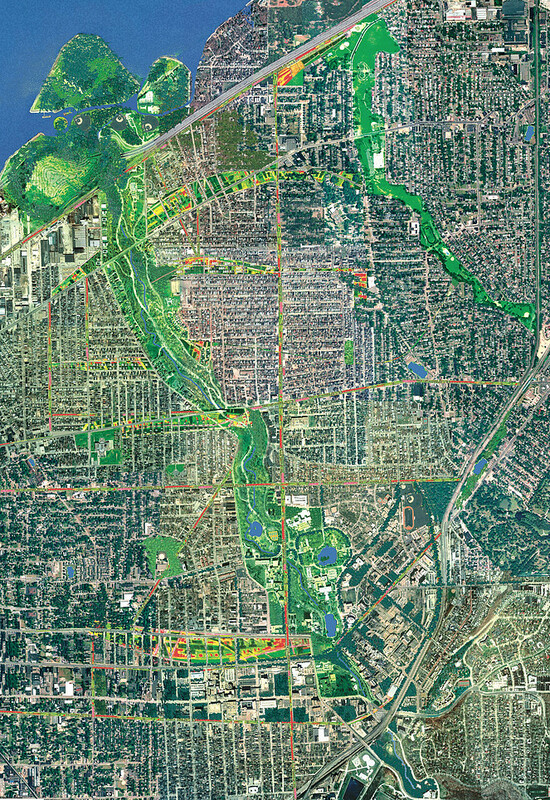 This project looked at the development of the Cleveland waterfront to the east of downtown and at the connection of the waterfront - via Rockefeller Park to the group of institutions around University Circle. The biggest move is the creation a series of green islands out of a small airport on the waterfront that the city proposes to abandon. These islands culminate in a wildlife sanctuary at the lake end of Rockefeller Park and the partial burial of the shore line expressway to ease access to the waterfront. 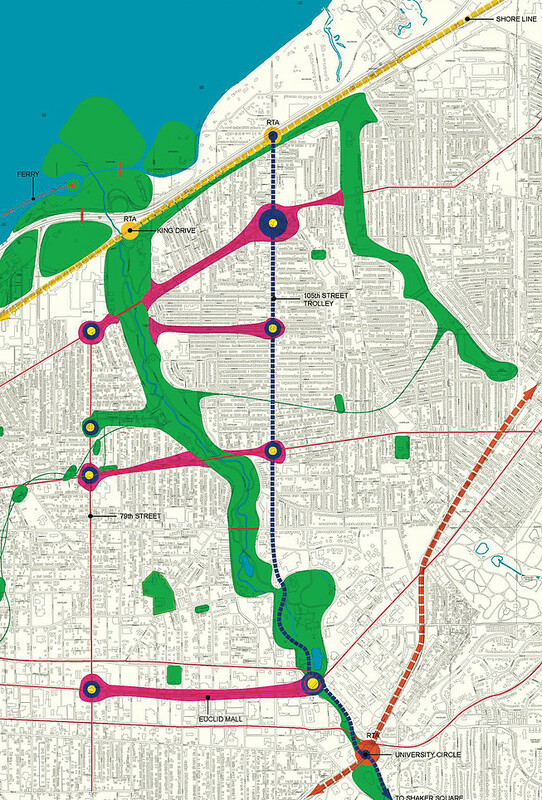 The plan also suggests the creation of a trolley connection from the lakefront to University Circle, linking two commuter rail lines and helping to revitalize the 105th Street corridor.